Just recently at the International Meeting for Autism Research (IMFAR) I gave a talk on the genetics underlying autism titled, Genetics Studies Indicate that Disturbances in Premigratory Neuroblast Maturation Are Core Features in the Neuropathology of Autism. In short, the major point of the talk was to stress the importance and vulnerability of the earliest stages of neuron development, e.g., premigration, in autism risk. 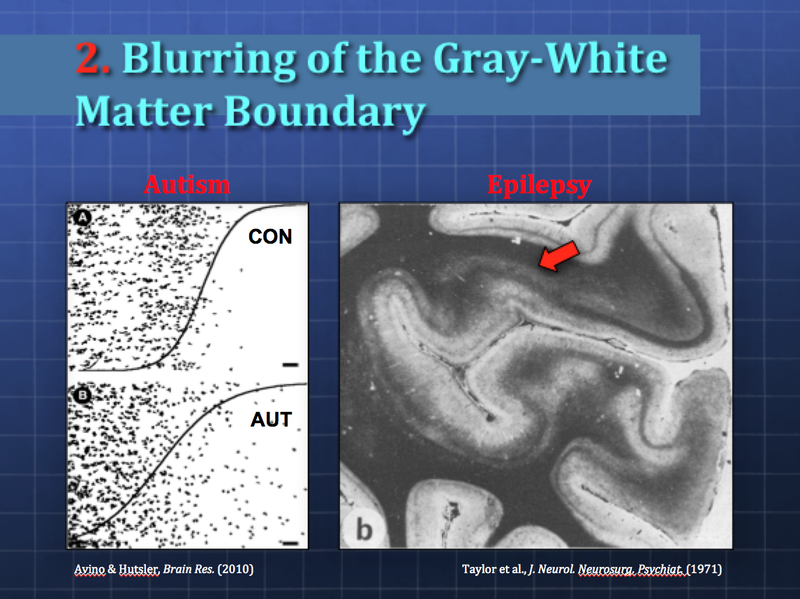 While I won’t review the entirety of my presentation because some of the data haven’t been published yet, I did however provide some interesting background for the points I had wanted to make, specifically focusing on the neuropathological similarities between autism and epilepsy. First off, why compare autism and epilepsy other than the reason that they’re highly comorbid with one another? For a budding neuropathologist such as myself, the biggest reason is that there have been large numbers of studies on resected (surgically-removed) epileptic tissues in drug-resistant cases, in contrast to autism in which there have been only a handful of postmortem studies. So, since they have much in common etiologically, we can potentially get some pointers from the study of the neuropathology of epilepsy that may be applicable to autism. In addition, because there’s so much epileptic tissue available, classical neuropathological techniques are still en vogue in the study of epilepsy where researchers can investigate the structure and chemical makeup of whole sections of brain tissue, whereas much of the research on autism focuses on genetics, animal models, cell culture, and functional imaging. Though I won’t decry these other methods, there is still a lot one can glean about early development just from basic brain structure if one knows how to read the signs. This is classic neuropathology. 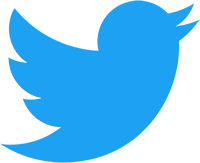 My husband was trained in neuropathology at Johns Hopkins following medical school, an institution that is still strongly invested in this historic field of study. My husband’s experience has in turn inspired my own predilection. It’s well accepted in the study of epilepsy that the seat of epileptic activity is usually neocortical. In autism, however, there’s been a lot of debate about where the seat of the core features of the condition lies. 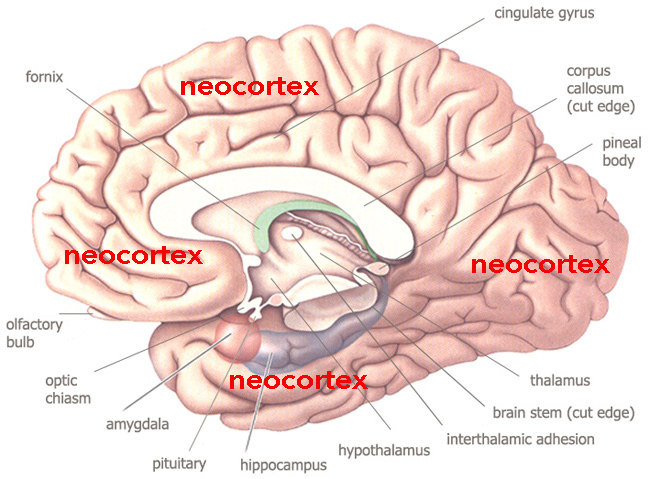 However, as I presented in my talk last week, the vast majority of cases of autism (90+%) studied postmortem exhibit malformations of the neocortex, strongly suggesting that neocortical dysfunction is the common theme and may underlie many of the core features. Likewise, these malformations of cortical development (MCD) can help us to date the disturbances in autism to stages of neurogenesis and neuroblast (newborn neuron) development because of what we already know about the development of MCD in general. The reason I selected these malformations specifically is because they are representative of the full range of MCD as outlined by Barkovich et al. (2012), which is the accepted classification system of MCD to date. The fact that all of these different types of malformations can be found throughout autism and epilepsy strongly indicates that neocortical development, irrespective of specific malformation, is integral to the core features of both of these conditions. Macrocephaly is definitely overrepresented in autism. Early studies indicated that about 14% of those with autism had macrocephaly . Megalencephaly is the term that literally means “big brain” and refers to an increase in relative brain tissue. Macrocephaly, on the other hand, refers to a “big head”, which can include megalencephaly and also other conditions such as enlarged heads due to hydrocephalus (water on the brain). Many of you are probably familiar with the relationship between PTEN mutations, large brains, and autism. 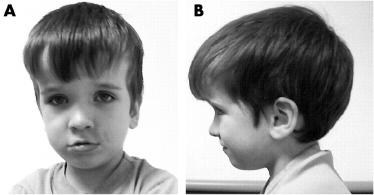 Below, for instance is a young boy with PTEN mutation associated with Cowden Syndrome and very obvious megalencephaly. However, microcephaly is also overrepresented in autism, although when present it is often associated with other medical conditions and therefore may represent syndromic (e.g., genetic) forms of the condition. Focal Cortical Dysplasias (FCD) have been primarily studied in epilepsy, though similar features can be found in autism. FCD is defined by more general architectural abnormalities of the brain involving either the neocortical columns or layers, presenting with disruption or disorganization in either or both. It can also include cellular abnormalities, such as oversized, immature, and malformed neurons. 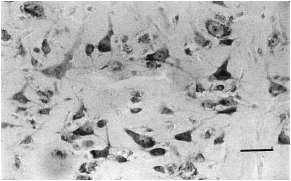 Below is an example of cellular abnormality found in a case of autism, in which the neurons are severely disoriented rather than being oriented vertically. Microdysgenesis (MDG) is similar to FCD though it’s generally considered to be less severe and may lie on a related spectrum with FCD. For instance, in resected epileptic tissues, surrounding identifiable FCDs, which may be the focal point of the epileptic bursts, there is often evidence of subtler microdysgenic tissue in the periphery. Additional features of FCD and MDG include the presence of misplaced (heterotopic) neurons within the white matter of the neocortex and subcortical regions. 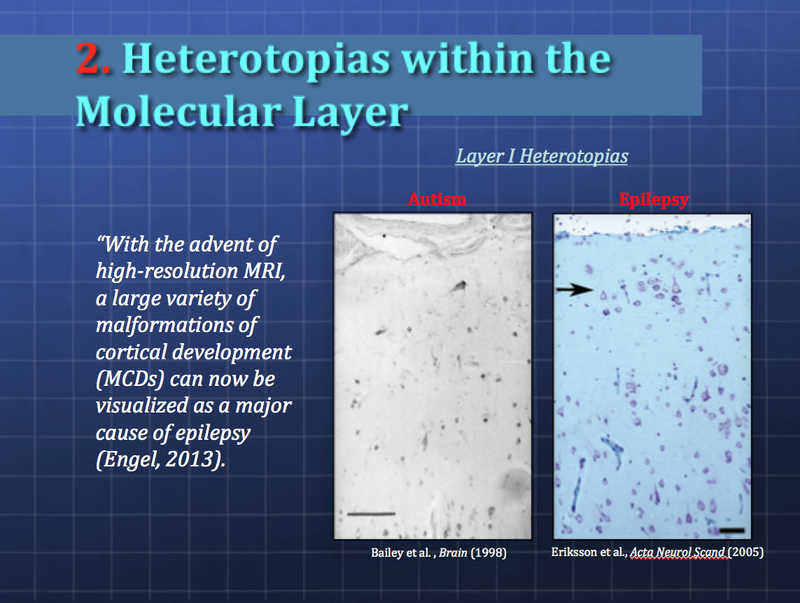 Below are slides from my presentation, the first illustrating examples from autism and epilepsy and heterotopic neurons in Layer I of the neocortex, followed by similar findings in the white matter underlying the neocortex. 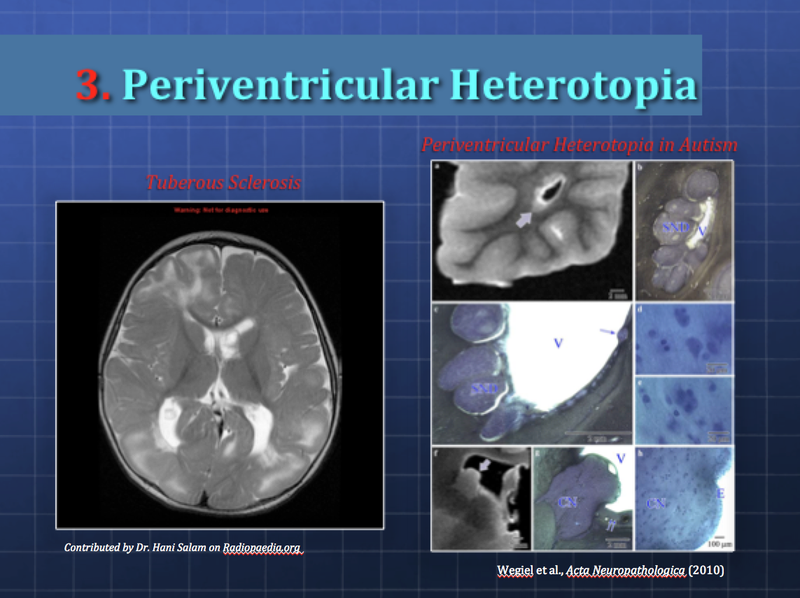 Periventricular Heterotopias (PV) are groups of misplaced neurons that line the ventricles. It’s presumed that the neurons, which are produced in the periventricular area, fail to migrate up into the developing neocortex and instead get stuck in the germinal zone. 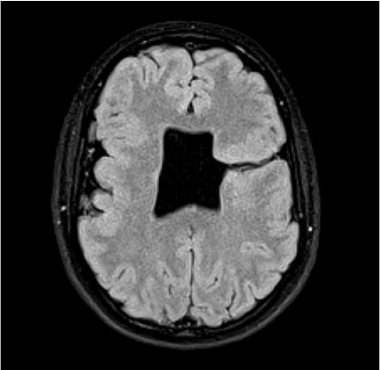 Below are examples from Tuberous Sclerosis (left) with similar kinds of tuberous growths that surround the ventricles of the brain, and PVs found in idiopathic autism (right). 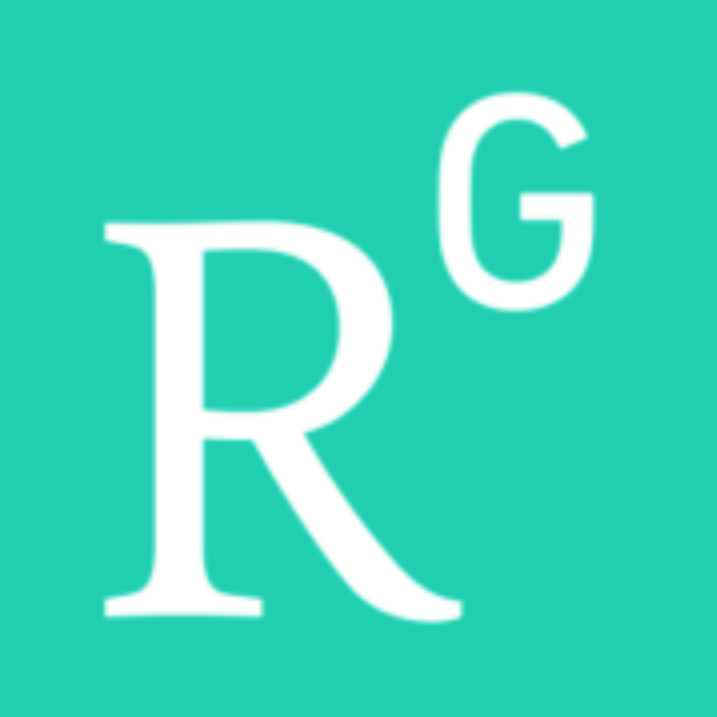 Polymicrogyria, which means “many small gyri”, appears to be overrepresented in autism as well. 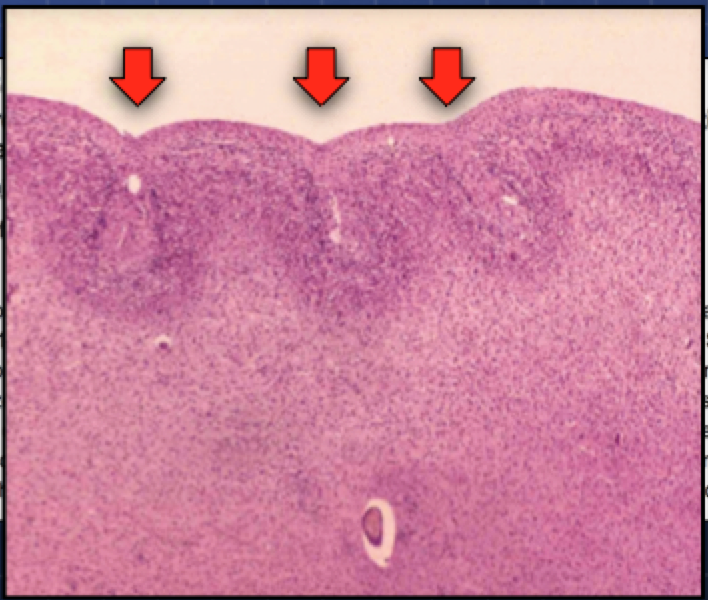 Below you can see a micrograph of the small gyri, with their shallow sulci (valleys) and what usually looks like a fusing of the uppermost layer (Layer I) of the neocortex (arrows). Schizencephaly, or “splitting of the brain”, is also more common in autism. As you can see from the image below, there is a characteristic split that typically runs from the ventricles through the breadth of the cortex. 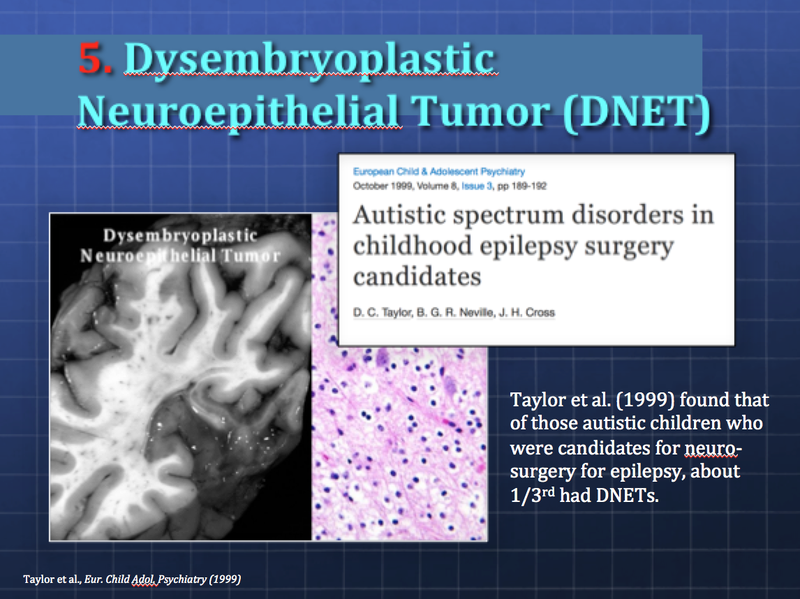 Finally, Dysembryoplastic Neuroepithelial Tumors (DNET) have been poorly studied in autism, but there is preliminary evidence to suggest that they may occur more frequently than assumed. These are typically slow-growing benign tumors that arise from germinal tissues and are often associated with FCD in about 80% of DNET cases. They often cause drug-resistant epilepsy and require surgery. Taylor et al. (1999) found that of those autistic children who came through their surgical units and were candidates for surgery for epilepsy, 1/3rd of them had DNETs, a rate much higher than the typical drug-resistant epileptic population, in which DNETs are believed to occur in only 1-2% . So, this is a long way and a lot of pictures to basically say that the neocortex is probably very important to the core symptomology of both autism and epilepsy and that the comorbidities between these two are not coincidental. This was just a cursory view of these different types of malformations. 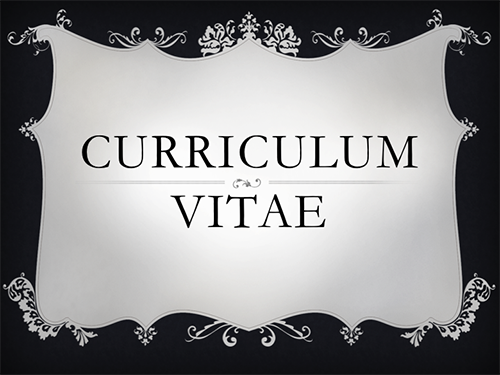 If you have any further questions or requests for clarification, feel free to ask in the comments section. Unfortunately I’m not a radiologist, nor is my husband but he’s more experienced in reading MRI than myself. You may well have some malformations he could pick up on, however there are some malformations that may be very subtle and can only be measured using algorithms, e.g., thinning of the neocortex indicative of focal cortical dysplasia, etc. Feel free to send them our way.